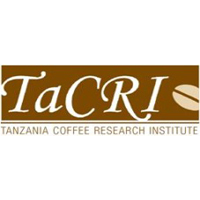 Background: The Tanzania Coffee Research Institute (TaCRI), incorporated in 2000 as a company limited by guarantee under the Companies Ordinance (Cap. 212), became legally constituted and operational in September 2001 with the major objective of rejuvenating the Tanzania coffee industry to sustainable prosperity, placing new emphasis on stakeholder-led, demand - driven RESEARCH FOR DEVELOPMENT. TaCRI is now seeking to employ dynamic, committed, responsible and self-motivated persons to fill the following exciting vacant positions. • Collecting and recording data from research trials both in hard and soft form. • Planning for initial requirements for research trials in terms of agro-inputs and labour requirements. • Academic qualification: At least a Certificate in Agriculture/Crop Production/Horticulture with proven records of achievement. Applicants with Diploma in General Agriculture/Crop Production/Horticulture will have an added advantage. • Work Experience: Should have a work experience with relevance in agricultural research activities. Experience with the private sector hands on participatory approach and especially working with coffee farmers in coffee industry will be an added advantage. • Knowledge of vegetative propagation, processing, and cross breeding will be an added advantage. Remuneration: TaCRI is an equal opportunity employer and offers attractive and competitive remuneration. Ideal candidate will need to have strong understanding of agronomic and breeding principles associated with production and marketing of good quality coffee or any other perennial crops. Adapts readily to change and establishes organisational processes that foster responsiveness, readiness to change and work under diverse conditions. Understanding and meeting the needs of internal and external customers; strong demand-led, market oriented, and participatory process of technology development and dissemination. Shows commitment to the teamwork and finds the best solutions by working positively and cooperatively with others, good leadership, high standards of performance, a sense of urgency, and mutual respect and integrity. All applications must reach the Chief Executive Director through the address below (or by email: info@tacri.org ) by 16th March, 2018.